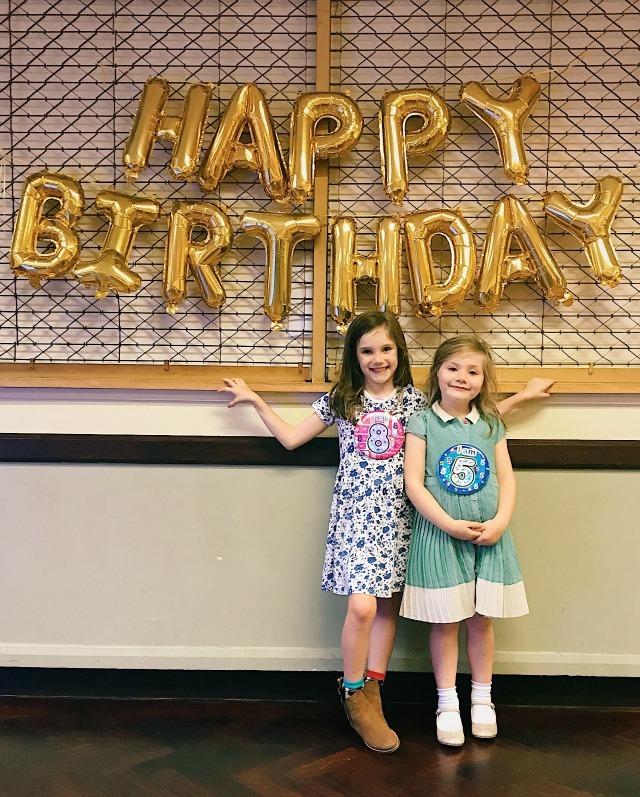 Long time readers of this blog will know that somehow I managed to have two babies with birthdays a day apart. This means that I basically disappear off the radar for a couple of weeks at this time of year - first of all we have half term at the end of October, and I always try and reduce my workload while the kids are at home. Then The Birthdays follow shortly after and I find myself in last minute shopping / party prep hell. Every year I say I'm going to be more organised but it never happens - in fact this year I decided to double my stress levels by having two parties in one day! Evie's birthday came first and we kick started a weekend of celebrations with chocolate for breakfast and sushi for dinner. She got tap shoes and Sylvanian Families and LOL Surprise dolls and unicorn everything - toys, clothes, a backpack, a hot water bottle, and the best present of them all; a birthday party the next day...... Which also happened to be Daisy's birthday! Cue more chocolate for breakfast and a morning spent playing with, and enjoying, new presents (Daisy had a monochrome bedroom makeover as her present) while I made jam sandwiches and cooked sausage rolls for a birthday party buffet. Then it was time for party no.1! Evie had invited her whole class (no boys!) for a disco in a hall. We'd decorated with bunting and balloons and the kids got to play musical statues and do the conga. After saying goodbyes and dishing out party bags it was time to zoom home for party no.2 - a sleepover for Daisy and six of her best friends. They had takeaway pizza and watched a movie, then stayed awake until gone midnight and were up at 6am. Where do kids get their energy?! I could easily have fallen asleep before them, and then this morning I'd had three cups of coffee by 8am and had to have an afternoon nap.